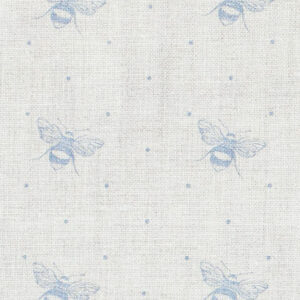 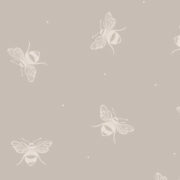 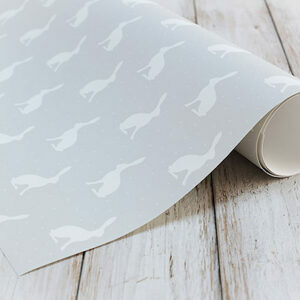 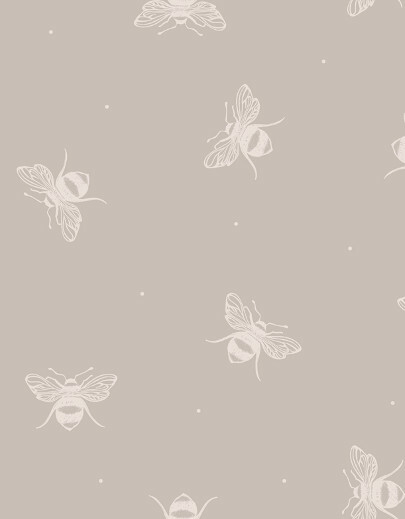 Stunning wallpaper with busy bumble bees on a gustavian grey background. 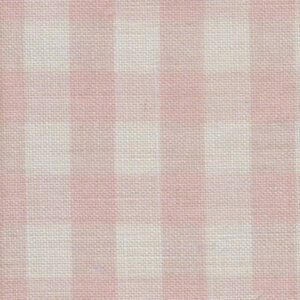 Scheme ideas: try our Heather, Pink or Grey Large Check as curtains. 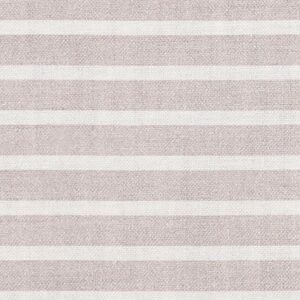 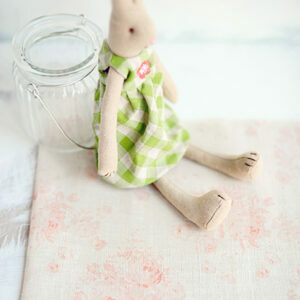 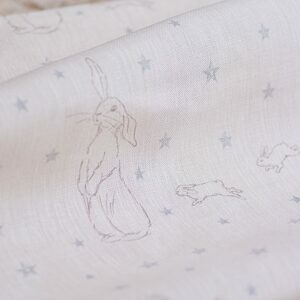 Our plain Old Pink linen or Millie in powder pink would be beautiful as curtains. 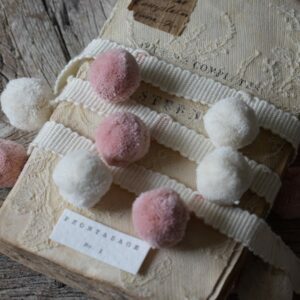 Our plain laundered natural linen as a headboard and our Pink and Ivory Pom poms.